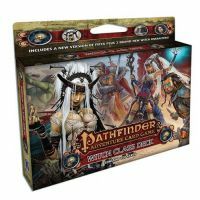 These characters are guaranteed to blow your mind—or, if you prefer, someone else's. The Pathfinder Adventure Card Game Occult Adventures Character Deck 1 features three new characters who use mental attacks: the spiritualist Estra, the mesmerist Meligaster, and the psychic Rivani. 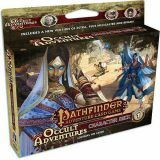 These characters are guaranteed to blow your mind—or, if you prefer, someone else's. 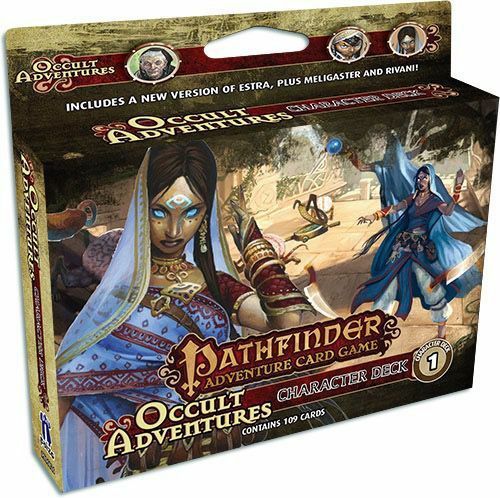 The Pathfinder Adventure Card Game Occult Adventures Character Deck 1 features three new characters who use mental attacks: the spiritualist Estra, the mesmerist Meligaster, and the psychic Rivani. 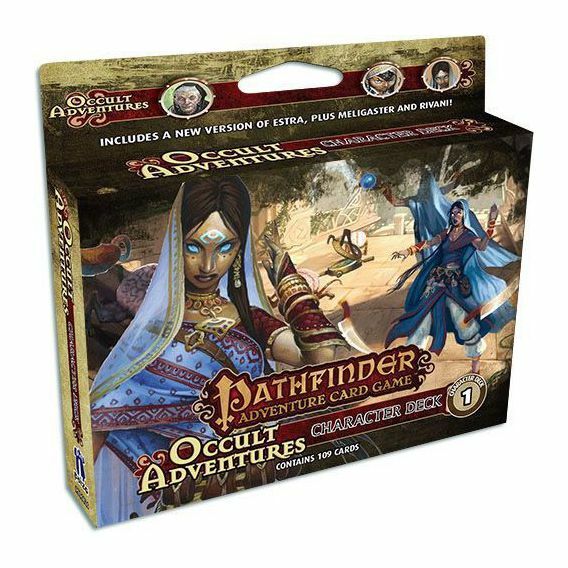 This 109-card accessory for the Pathfinder Adventure Card Game gives you the cards you need to add some brain to your game. 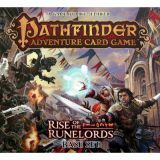 Use in any Pathfinder Adventure Card Game Base Set or in the Pathfinder Society Adventure Card Guild organized play campaign! 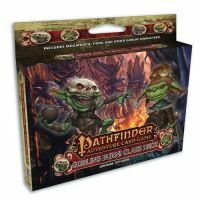 Pathfinder Adventure Card Game: Class Deck - Goblins Burn!